A seminar organised by the Birkbeck Sport Business Society, a student society of Birkbeck, University of London. Birkbeck Sport Business Society, Birkbeck, University of London, is pleased to welcome to Birkbeck two of the world’s leading academic authorities in the sport economics and sport governance fields. In this presentation, Professor Stefan Szymanski and Professor Stephen Ross will discuss alternative perspectives on football’s “transfer system,” a product of private arrangement by European clubs adhering to FIFA regulations for when a player seeks to change teams despite having signed a multi-year contract. An employee’s ability to switch employers is generally governed by the contract law of EU member states. These laws vary widely; the remedies available to employers and range from minimal (worker pays a few weeks’ salary) to money damages where the employing club can clearly demonstrate economic harm. In contrast, FIFA rules provide an unclear set of damages and penalties that sharply limit player mobility. Professor Stefan Szymanski is a noted critic of the transfer system. His remarks will focus on the extraordinary exploitation of thousands of players as a result of FIFA rules. He will also articulate policy objections to treating football players differently than other European employees. Professor Stephen Ross will focus on the extraordinary players whose damage to their team from moving on cannot be precisely measured in Euros or Sterling. Ross’ current research focuses on this significant sporting controversy as a means of examining, more generally, whether EU laws that effectively prevent workers with special talent from binding themselves to multi-year employment contracts serves the EU interest in free movement of labour. Szymanski was retained by the global football players’s union FIFPro to argue the case that the current transfer system violates European competition law as part of the challenge they have made to the system in the European Court of Justice, and his paper on the subject can be downloaded here. Lucy Tallentire (School of Business, Economics and Informatics) and students Vasiliki Panou (MSc Sport Management & Marketing) and George Totomis (MSc Sport Management and the Business of Football) review the presentations on the Birkbeck Events Blog. Professor Stefan Szymanski is the Stephen J. Galetti Professor of Sport Management at the University of Michigan. 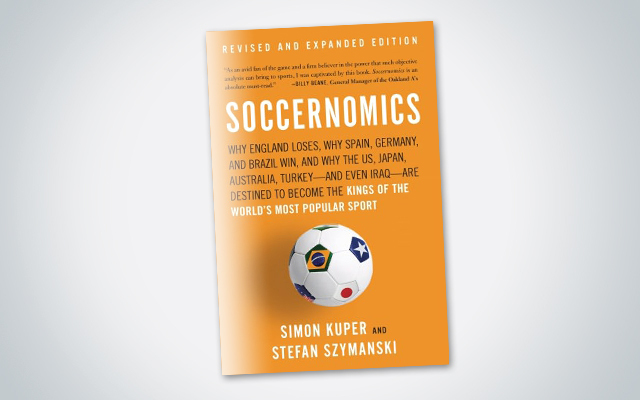 He started researching the economics of professional football in 1989, and has since come to spend his entire time researching the economics and business of sport. He has published 55 scholarly articles, 14 book chapters, six books and four edited volumes on sports related subjects. He has also acted as consultant to sport governing bodies and national governments, and has appeared in court as an expert witness on the economics of sport. He has become a regular pundit in the media on business related sports issues. Professor Stephen Ross is a Professor of Law, the Pennsylvania State University (Penn State), and Director, Penn State Institute for Sports Law, Policy, and Research. He teaches and writes in the disparate areas of Sports Law and Comparative Constitutional Law. He has provided expert testimony and advice on sports antitrust issues to governmental entities in both the United States and Canada. He has also consulted on sports league design for professional sports organizations in ice hockey, cricket, and motorcycle racing. Professor Ross has also served as a senior fellow of the American Antitrust Institute and as pro bono counsel to the AAI and consumer groups including the Consumer Federation of America on antitrust and sports litigation. He has co-authored casebooks in Sports Law and Comparative Constitutional Law. In 2016, Ross was named the founding executive director of the University-wide Center for the Study of Sports in Society. FIFPro.com (15 October 2015). New Study: Abusive Transfer System Is Failing. FIFPro.com.